Join us for a fun-filled morning with an interactive mixed ensemble concert by Roanoke Symphony Orchestra. 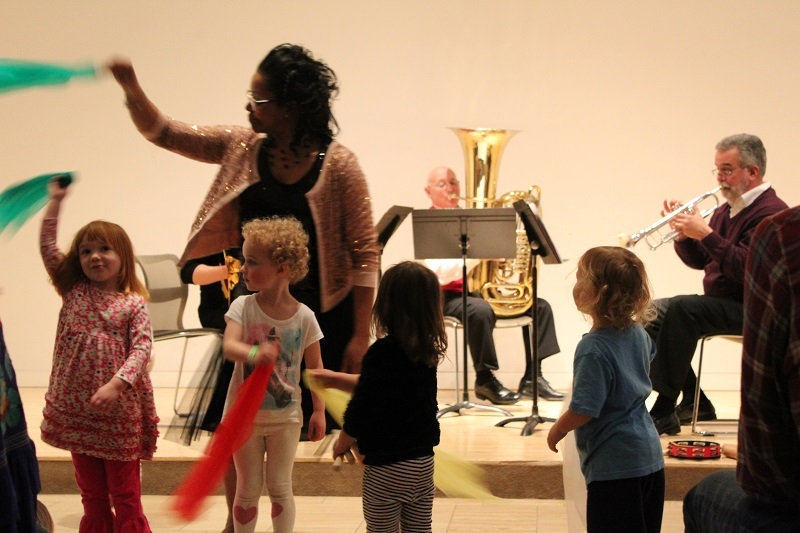 Geared towards families and children ages 0-6, this 35 minute concert is the perfect length to keep your little ones inspired and entertained. Combining music, movement, and narration, you can sit back while your child experiences a symphony concert created just for them! As a special treat, we will be celebrating our Free Community Art Venture day, all day from 10am-5pm. Stop in Art Venture beforehand to make a musical instrument of your very own at the art-making tables, and then bring your new instrument with you to play during the concert! This performance is free and open to the public, and is generously sponsored by Roanoke Symphony Orchestra.